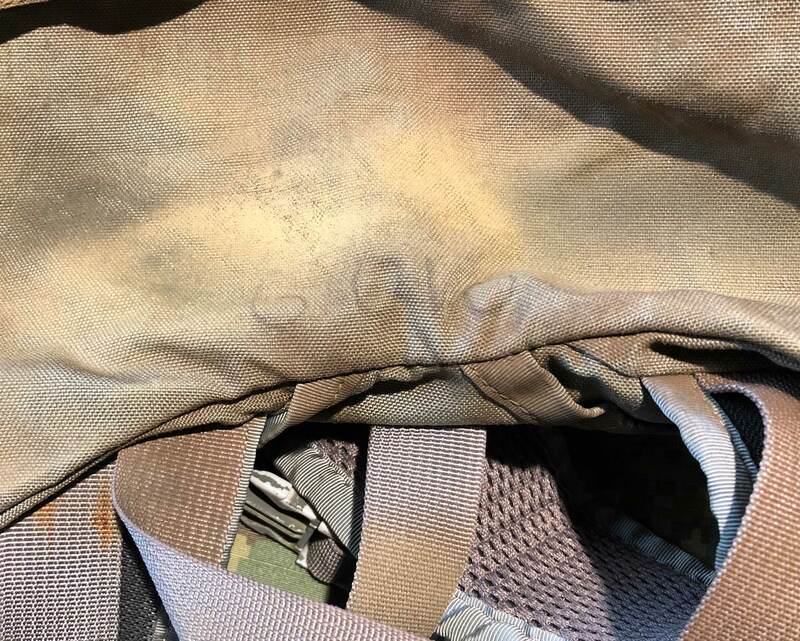 This it the lid of the Big D(ana)’s Special Blend (BDSB) rucksack made by Mystery Ranch for the US Navy SEALs. 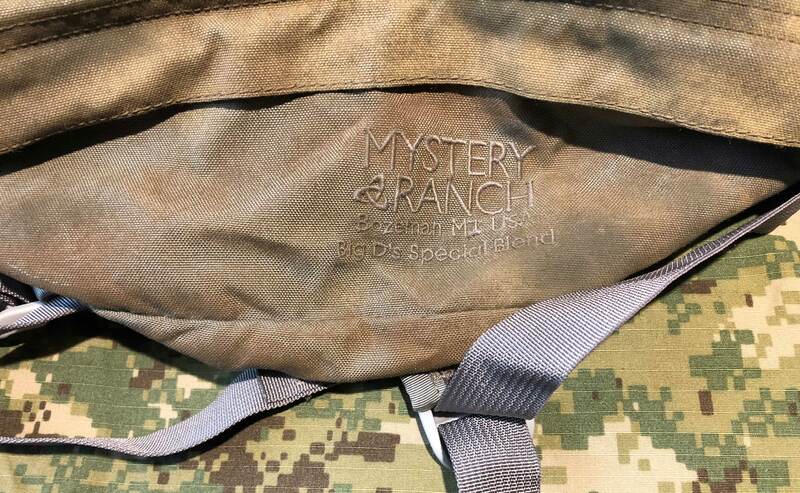 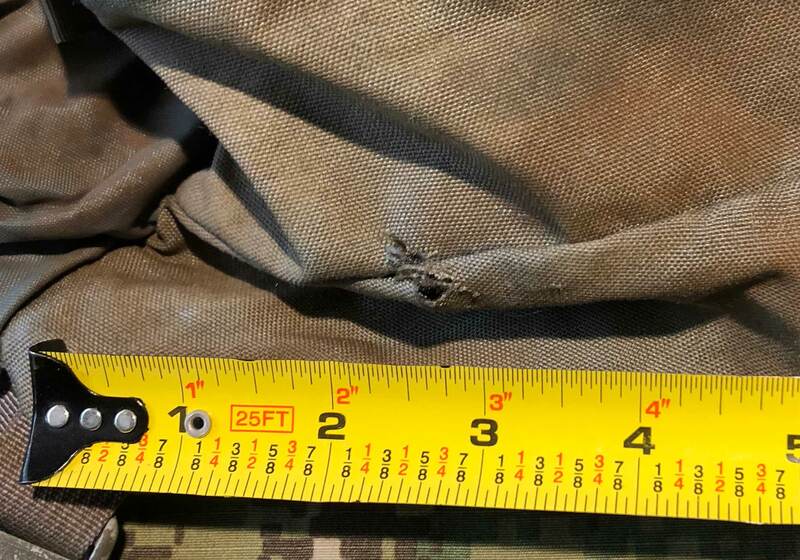 It was the first Mystery Ranch branded product and incorporates many features found in civilian backpacking gear not available to the military in the early 2000’s. 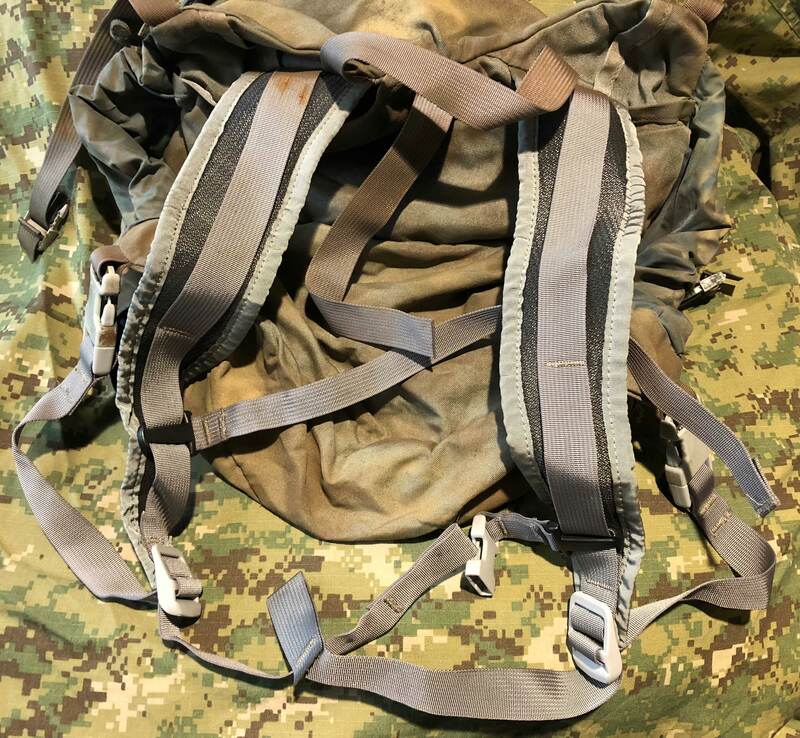 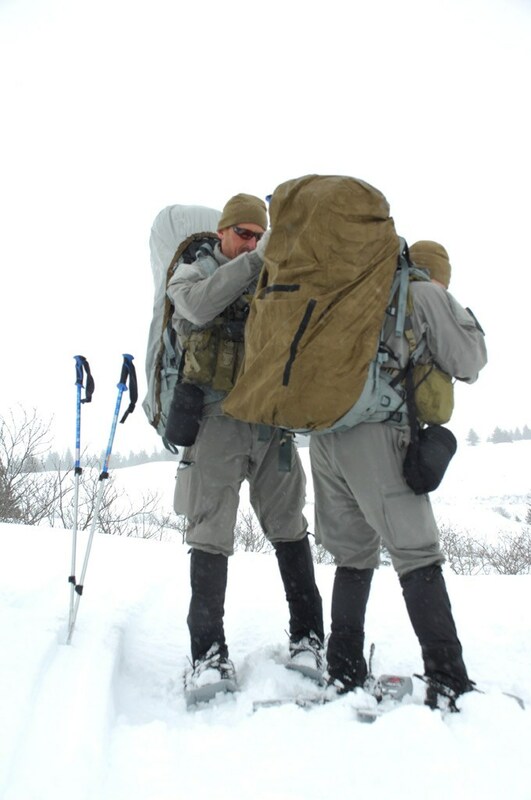 The BDSB pack system was first tested in 2003 in Alaska by the SEALs. 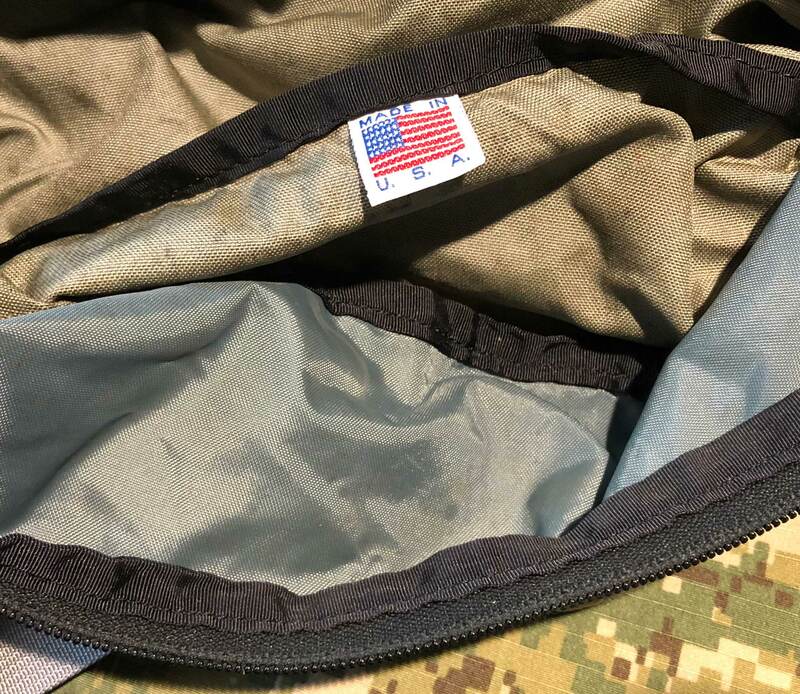 The lid could be removed and worn as a small pack. 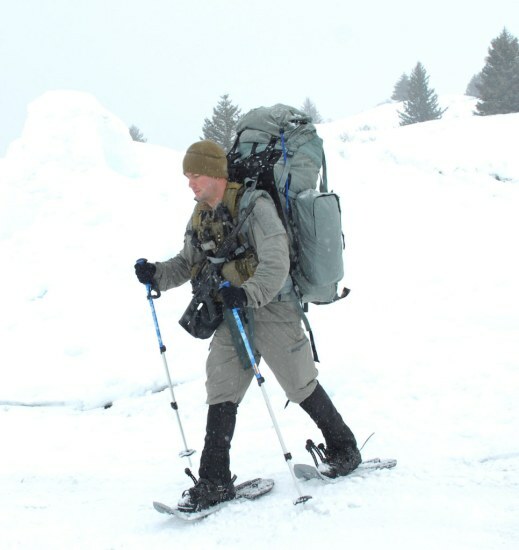 The “titanium” or “castor” grey color was selected to reduce contrast and visibility (source). 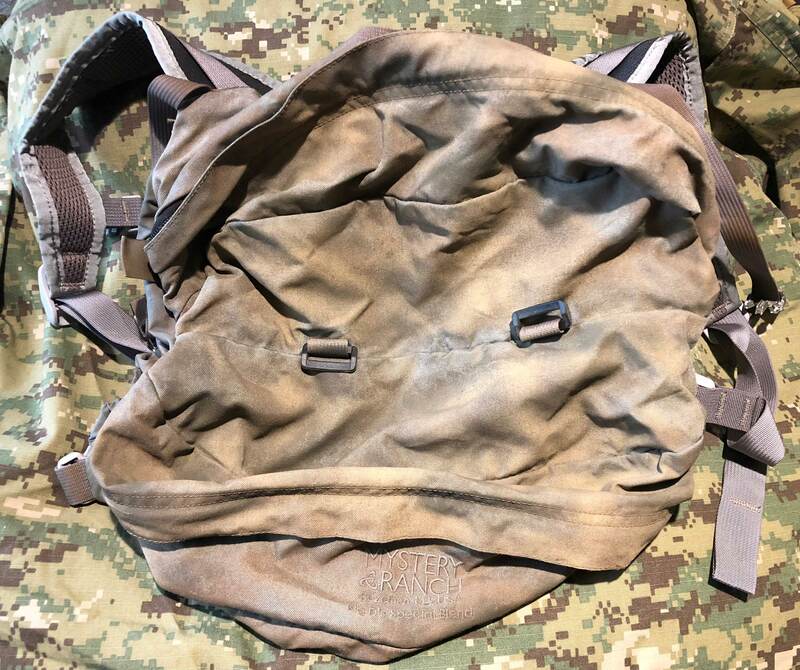 This one was modified with a spray paint coat, perhaps for better camouflage in the desert, and has a service number sharpied on the outside.